A Pair Of Complete L.E.D. 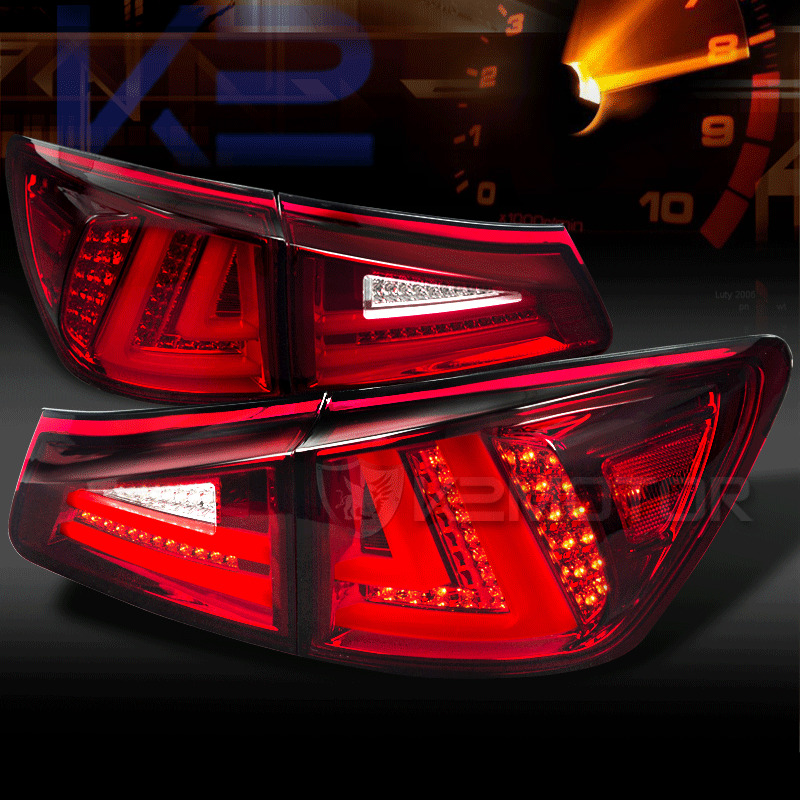 Tail Lights For 06-08 Lexus IS250/350 By K2Motor. Add The Finishing Touches To Your 06-08 Lexus IS250/350 With Our Extensive-Line Of High Quality L.E.D Tail Lights. Revolutionary L.E.D Technology Not Only Improves The Appearance Of Your Lexus IS250/350, But Also Features Brighter And Safer Lights. Our Exclusive L.E.D. Tail Lights Feature Hassle-Free Plug & Play Installation. Buy Yours Today And Get Free Shipping!